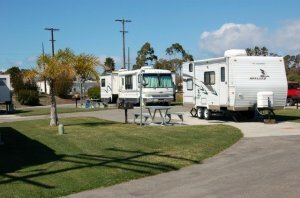 Very nice RV Park. We were surprised it was only about 25% occupied this time of the year. Staff was very friendly and helpful. Wifi was one the best we've ever had at a RV Park (still not 4G fast). Base has a good NEX and commissary. Enjoyed the free laundry (for now) and free movies on base. The Navy reservation system still needs to improve, but at least their trying to have a centralized reservation system. Enjoyed our visit! can you tell me if the cable tv is available now...or something else?